Known as "freezer dump meals" these meals require minimal prep and can be done up to three months in advance. Pull all the ingredients in a gallon-sized freezer bag, label the bag with the meal and cooking instructions, then freeze it. 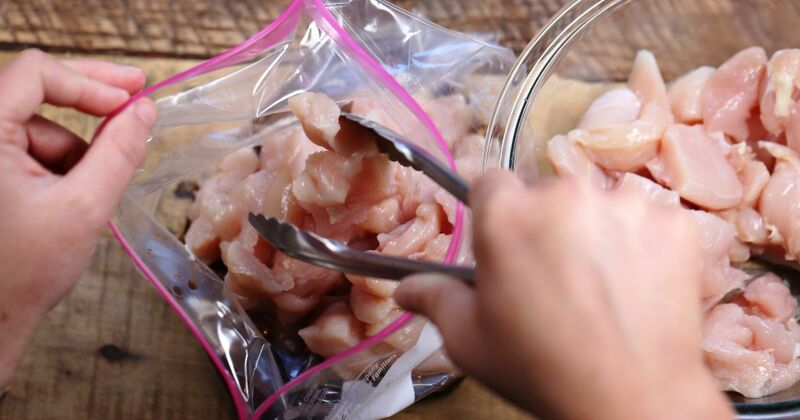 Simply pull the bag out of the freezer to thaw the night before and dump the ingredients into the slow cooker in the morning for an effortless dinner. We've chosen the 10 recipes below for their rich flavor, though you can feel free to adjust the spices as suits your tastes. Add 2 cups of water to ingredients and cook on low for 6-8 hours. Shred beef with two forks. Serve with taco shells, sour cream, salsa, guacamole and shredded cheese.